Well, it's hard to believe it's been a little more than a year since SquigglyTwigs Designs was begun. There are many, many independent pattern designers out there. We want to be the best and be known as the best. The way to become the best is to be open to critique. It's hard to get honest critiques. We've tried being reviewed, and that has gotten us some critique, but reviewers really want to be nice, too. We're going to try a contest and see if that gets us anywhere. This one will be easy to participate in. 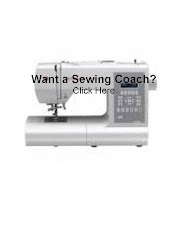 All you need to do is sew or have sewn one of our patterns (even a free one) and leave us a critique. (The pants class is excluded, as it isn't meant to be a pattern, nor is it written to the level of definition of our patterns. It's more like a tutorial.). If you haven't purchased, why? Leave a comment about this for an entry. We want to improve and be the best. Please help us to do this and we'll give you a pattern...any pattern you want. We'll do a random draw on Monday, April 19th @ 9:00 am ET. Please be honest...we're ready to take it and make your comments work to make SquigglyTwigs Designs the best independent design firm around. Annonymous, I appreciate your comment. You mention, as shown, they don't look professional. Please tell me how to make them look professional, or what "looking professional" means to you. I really do want to know. As far as being similar to a free tutorial you could find elsewhere, maybe...there's so much written in free tutorials, but I certainly believe my patterns are written with much more detail than a tutorial. I certainly intend for them to be. Also, if you don't want to post the face of a child, may I recommend investing in a mannequin? I have been mostly satisfied with the two patterns I purchased. I have the "Fun and Easy Knit Top/Dress" pattern and the "Patchwork Peasant Dress" pattern. I liked that I could print off the actual patterns for the Peasant dress, but got confused in actually putting the pieces together (figured it out though). I was successful (for the most part) with the Easy Knit dress. I am pretty much a self taught seamstress and have a difficult time reading patterns, but was able to make dresses with both patterns. More pictures/drawings within the patterns may have been more helpful.